Main Objective: This is it! For the church, Easter and Christmas are the high holy days, sure to attract attention and attendance. Children hunt for plastic eggs and dress in fancy attire, but sometimes might not quite understand why the holiday is so significant. 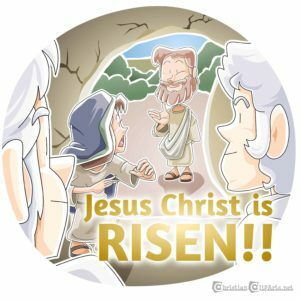 This message aims to remind kids and adults alike of the reasons why Easter is so important. Law/Gospel Theme: The good news of the resurrection is the hope of new life that it brings. We all search for something to put our hope and faith into, but there is only one thing that will satisfy the desires of our hearts. Jesus is the central figure and focus of the entire Bible. The incarnation fulfills God’s promises to us and the death and resurrection complete that work. We rejoice in the resurrection because through it we have new life. Come to deliver the message, carrying a basket of some sort filled with various Easter items. “Happy Easter!!! (Speak rapidly and excitedly) Oh I just love Easter it’s so great and we have egg hunts and last year I found an egg that had a whole dollar in it and I really love those marshmallow Peeps did you know there’s a new flavor out now and especially I like the Reese’s eggs with extra peanut butter inside and I got a new dress to wear for church today and look I have a basket! Hang on…maybe I’d better slow down. Well I have some items here in my Easter basket, and maybe they can help figure out the best elements of Easter…(hold up stuffed animal bunny/chick/etc) Oh, isn’t this guy cute? Well, that’s disappointing; it’s empty! (Introduce candy) oooh chocolate! Surely that’s the best thing about Easter, right? Hmm…And hey, what’s this? It looks like a hankie. Why would someone put that in an Easter basket? Well, here’s an interesting thing. A lot of the things that we see at Easter, like eggs and bunnies and chickens, go way back to people who celebrated springtime traditions. After long winters in the cold, people were excited to have warmer weather and sunshine. They thought things like eggs symbolized new life. In fact even the name Easter might come from “Eostre,” who was actually a pagan goddess. But she was the goddess of dawn (extra fun fact, that’s where the term “East” comes from, since the sun rises in the East! ), which is when the sun rises. People often see the sunrise as a hopeful event, because it means a new day is coming. Now, we celebrate Easter in the church as the time when a different Son rose… today is when we remember the resurrection of Jesus! He was put to death, even though He had done nothing wrong, because He was taking the punishment for our sins. He died and was put in a tomb with a huge stone over the entrance. On Sunday, when some of His friends went to the tomb, they found out it was empty! All that was left of Jesus was the linens they used to wrap up His body (hold up linens again). Now, an empty Easter egg might be disappointing, but an empty tomb is amazing. An angel told the ladies who went to see Jesus that He had risen from the dead and was alive! Well, they were so excited they ran to tell His disciples, and they were talking so fast they could hardly be understood. Do you think we can get that excited about Jesus? Knowing that we have freedom from our sins and new life in Jesus is a lot more exciting than spring time or chicken eggs. We have hope that outlasts the weather, and new life that lasts forever. For us, this holiday is even better than Christmas. Not only was Jesus born, but He lived and died, and came back to life! This was the culmination of God’s big rescue plan for us. He is so great. The news of Easter is so great. How can we help but share it? Let’s do that every day. Easter isn’t just a day or a season, it’s hope in the risen Son and life in Him! Jesus Christ is Risen image from ChristianClipArts.Net – Used with permission. I’m Tony Kummer, the founder of Ministry-To-Children. Our entire team is honored that you’re using our material to tell kids about Jesus. We are not a big publishing company – just a small website that God is using in a big way. All resources from Ministry-To-Chidren.com are 100% free to copy and use in any ministry setting. Reposting online is welcome but requires an HTML link back to our website. Add me (and our writers) to your personal prayer list.